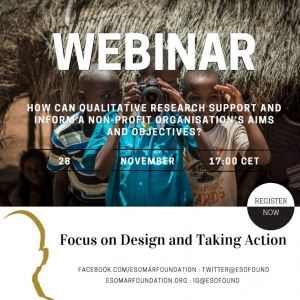 The 4th Webinar in this series focusses on research design and action. Even when we fully appreciate the value that qualitative research can bring, the possibilities of different types of qualitative research, and have seen examples of some particularly challenging projects – it is not always easy or obvious to see what to do in your own particular situation. So in Webinar 4 we will pull all these different strands together and look at how to identify the issue that needs to be addressed and think about the best, and most cost-effective, research design to address it. How to define the key insights, and then – most importantly – how do you define the most appropriate and most effective actions to take, based on the insights and findings of the research? 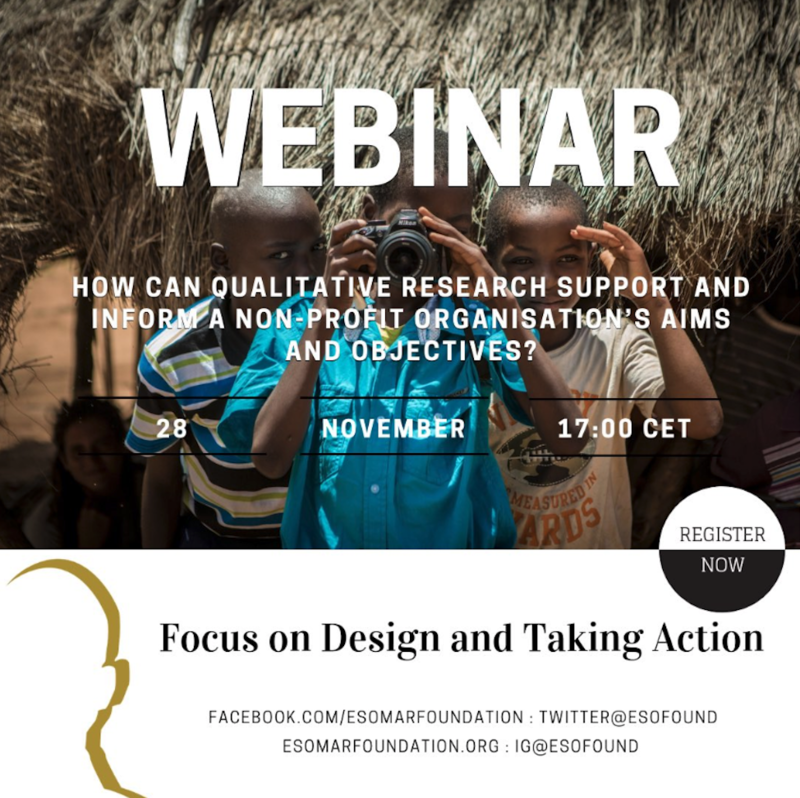 This webinar will give listeners an overall understanding of how to design and deliver a qualitative project that will really make a difference to their Not-for-Profit organisation’s impact. Astrid Kunert is the co-founder and strategist of QMR, the Munich based Institute for high-end qualitative research. With more than two decades of market and social research experience, Astrid and her team have served national and international clients in a wide variety of industries including automotive, financial services, media as well as government institutions and NGOs. Barbara Kalusche is a senior qualitative research consultant based in Dresden, Germany. For the past five years, she has been using her psychology, journalism and deep democracy facilitation background to create forums for deeper understanding in highly polarized environments e.g. by developing facilitating-deutschland and oneworlddresden a platform for German and rural Kenyan students to connect. Emmanuel Karisa Baya is an organic farmer from the coastal province of Kenya. He is the founder and executive director of Magarini-Centre, a CBO that teaches organic farming and supports 252 orphan children. In the 2017 general election he ran I for a seat in the local council (MCA) and is since then leading the local voter empowerment project Soil Peace in his community. Astrid is a team leader in TNS qualitative unit in Indonesia. She is a psychologist graduated from the University of Indonesia and have her Master of Science degree from Rijks Universiteit Groningen, the Netherlands, and with more than 10 years of research experience, she has the passion of understanding human behavior. With rich experience of working both in the research agency side as well as consumer and market insights role with two different multinational clients (Heinz & Samsung). Astrid is an expert in providing deep and sharp analysis with excellent understanding of business issues. She also provides added value of cultural context and psychological aspect beyond the findings.